Offering 3 beds, 3 baths and 1446 square feet of luxury, this gorgeous end unit townhome is all about location and upgrades! Its hard to imagine a more ideal location; it sides to open space with 3 parking spaces, and backs to a creek with sweeping views of Paintbrush Park, with mountain views in the distance. Plus in 3 minutes you can walk your dogs to Wiggly Field (the local dog park,) or drive to The Grange Cultural Arts Center with 2 spectacular pools, tennis courts, concerts and many other special events. This home is pristine in quality and feels like a new-build...you will not find a flaw! It boasts a great room and dining room separated by a double sided fireplace, plus a gorgeous kitchen with state of the art Samsung French door refrigerator with flex drawer (can be a fridge or a freezer,) pantry with pull-out drawers, Oak cabinets with cherry glaze and under cabinet lighting, sit-up counter for 2 bar stools, and tile counters. Upstairs features a master bedroom with 5 piece bath and large closet, 2 more bedrooms, hall bath, and office niche. 2 Dogs allowed and No cats. Security Deposit is one months rent. Pet fee is $500 if one or two dogs and non-refundable. Gas, electricity and water to be paid by the tenant. Both HOA’s paid by landlord and includes trash, recycling, snow removal, and pool access. Minimum one year lease but 2 year lease preferred. Highly ranked Douglas County Schools; Soaring Hawk Elementary School, Castle Rock Middle School, Castle View High School. We are in search of the perfect tenants for this home; someone who appreciates the quality inside this flawless home and is willing to maintain it, someone who only wants the best, and it wouldn’t hurt to have someone who doesn’t like to mow the lawn either. If this is you, then lets talk! 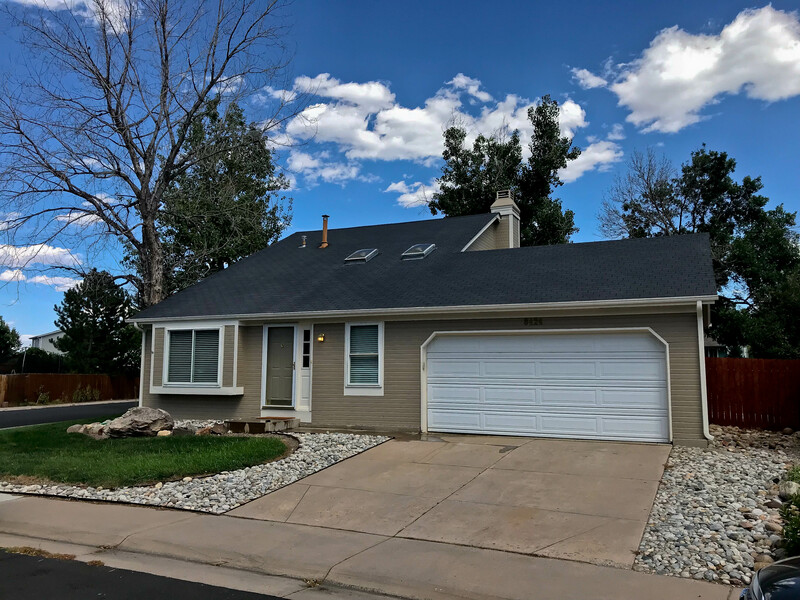 This like-new, impeccable 3 bedroom 2 bath 1256 square feet home in Cottonwood is ideally located a block off Jordan Road with easy access to E-470 and the Tech Center, Centennial Airport, Lifetime Fitness and Costco. 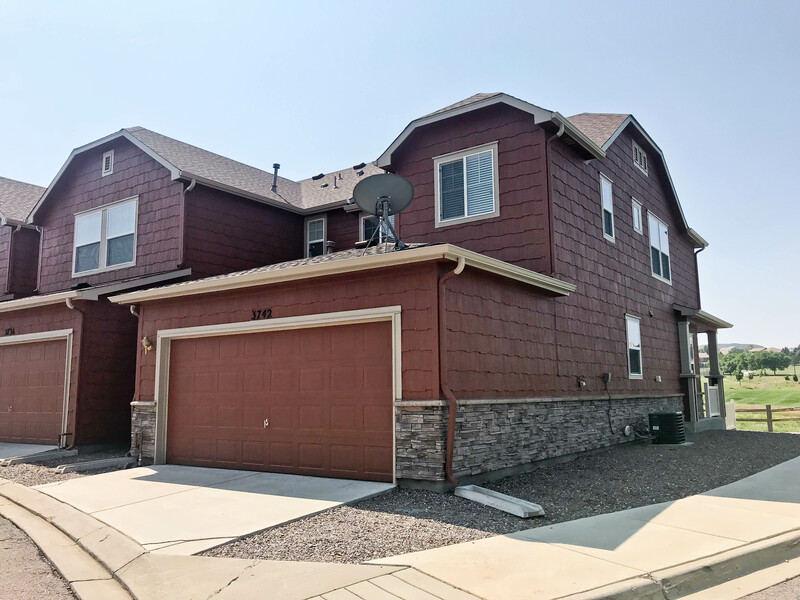 Showing like a model, it boasts a gorgeous new kitchen with new LG stainless steel appliances including French door refrigerator, faux granite counters, tile floor, beautiful Maple cabinets with chocolate glaze, stainless steel sink, stylish lighting, and pantry. Off the kitchen is a family room with wood burning fireplace featuring slate tile surround, and you can walk right out to your massive wood deck. The rear yard is huge, but you won’t have to mow or fertilize since its included, as well as a $25 credit for your water bill each month the sprinklers are turned on. In the front is a living room with 2 skylights and high vaulted ceiling, and a main floor bedroom and full bath with custom tile floor and shower. Upstairs is the master, the 3rd bedroom, and another full bath. To top it all off, there isn’t a spec of carpet in the entire home...outside of the baths and kitchen its 100% new gleaming hardwood flooring. Available immediately. Strictly no pets. Don’t even waste your time calling if you have any pet. Other amenities include A/C, new cordless blinds, 2 panel doors, baseboards, interior and exterior paint, and newer vinyl windows. The oversize two-car garage and a under-stairway closet give you ample storage. Highly rated Douglas County School District; Chaparral High School, Sierra Jr. High, and Prairie Crossing Elementary. Zillow is a Farce. DUH. Just saw this on NBC Nightly News about Zillow getting sued for showing home values lower than what they should be. If you have a problem with Zillow you should consider joining the class-action lawsuit. We've said this countless times and here it is once more: Zillow is a farce and the single most misleading real estate website in the World. No website can possibly know what your home is worth, so if you are naive enough to believe everything you see on the Internet, we feel sorry for you. Zillow's excuse is they get their data from County records. Know the last time the County records were accurate? N.E.V.E.R. Trust The Smart Lock You Just Bought? Lately stores like Home Depot display a fine array of locks that are "smart" that don't require a key at all. It seems that we are heading towards the day where we don't have keys in our pockets and purses anymore. In this test 12 of the 16 locks that were tested were easily "hacked," and that is very unsettling. Its easy to be impressed by the new technology but how are you supposed to know if its hack-proof or not once you decide to spend $200 on one? They may have to evolve a bit more before like driverless cars. Just How Big is the Denver Metro Area? Pretty big and getting bigger. In the 7 County region including Douglas County but not Elbert) there are over 3.1 million people. And Denver CO has added 10.5% to its population since 2010. Not sure how many households 300,000 people is, but this is why we have a sellers market...because we don't have enough listings to match the demand and builders aren't building them fast enough. Who would have ever thought this was going to happen in 2010? The inventory is lacking on all levels, but especially for first-time home buyers, which as defined in this article are buying homes averaging $212,500. Why isn't anyone building these types of homes anymore? Its hard to say...probably not as profitable. Its only 16.4% of our inventory, and its supposed to be 33%. They could go back to the good old days in Parker and Denver CO where they built entire streets at a time, and it wouldn't be enough. If you are selling this type of home you are in the drivers seat for sure. I have a buyer in this category and the homes we write offers on are usually getting 20-30 showings the first day, and 8-10 offers, and the winning offer is ALWAYS above the asking price...meaning prices are still going to rise unless this madness stops. Airbnb, and other short term rentals, are illegal in Denver? Yes, it is a current law. It will be interesting to see who ends up winning this fight. So its all about tax dollars vs. public preference. Job Quality Not Keeping Pace With Home Appreciation in Denver? So what does the Denver housing market look like if our current trends continue indefinitely? Of course the current trends are not sustainable, and here is why. We might be on our way to being the next Aspen. Its an interesting phenomenon really, considering the fact that interest rates are still at historical lows. Despite this fact there are still many who can't qualify for a mortgage or simply don't want one. 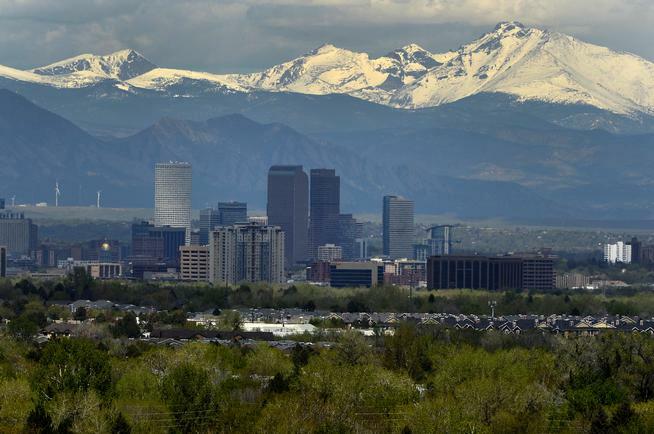 And once again, it proves that its a golden time to own a rental property in Denver CO! The percentage of renters is higher than ever. It could be a paradigm shift. As of 2014, 37.8 percent leased rather than owned, and that is a large number. It would suggest that 38% of the housing in Denver should be rental housing to support this.